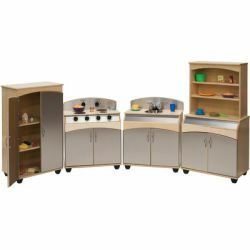 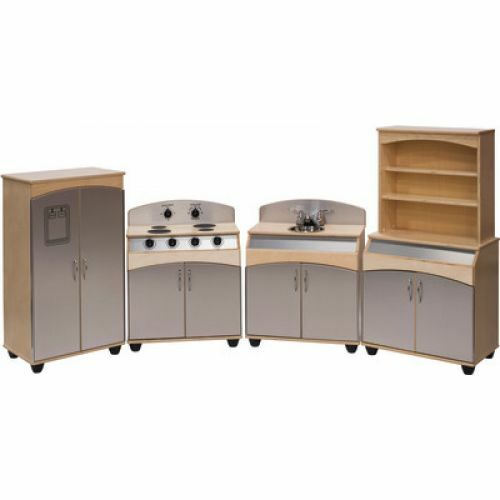 The sleek, modern design of this integrated set will bring a fresh new look to your dramatic play center! 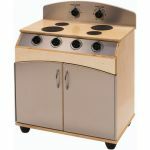 “Stainless steel” doors and control panels, a stainless steel sink, realistic-looking faucet, tactile cooktop with large-knob controls, spacious oven compartment plus side-by-side oven and refrigerator doors are sure to inspire children for hours of imaginative play. 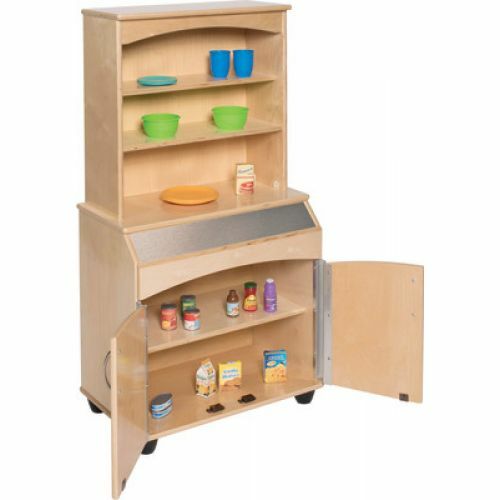 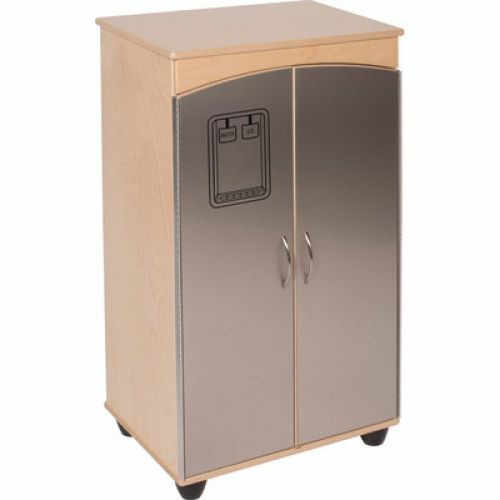 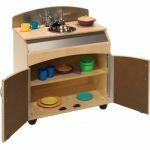 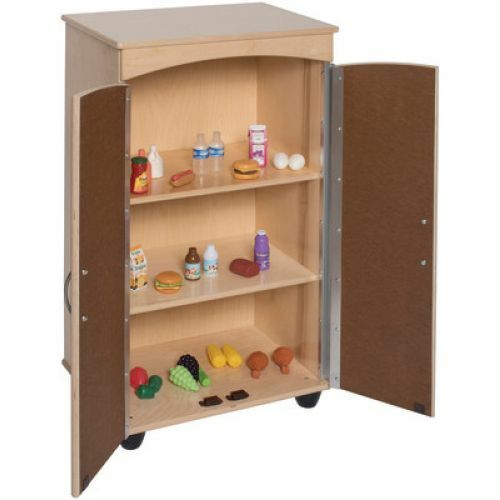 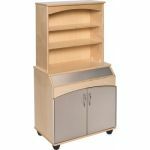 Constructed in durable birch laminate with a safe, nontoxic natural UV finish. 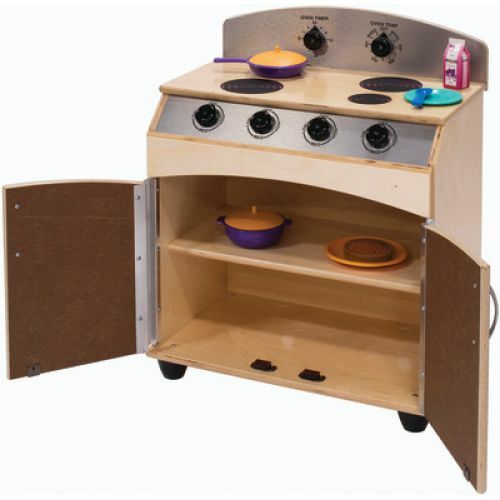 Top-to-bottom continuous hinges prevent little fingers from getting pinched. 24" counter height. 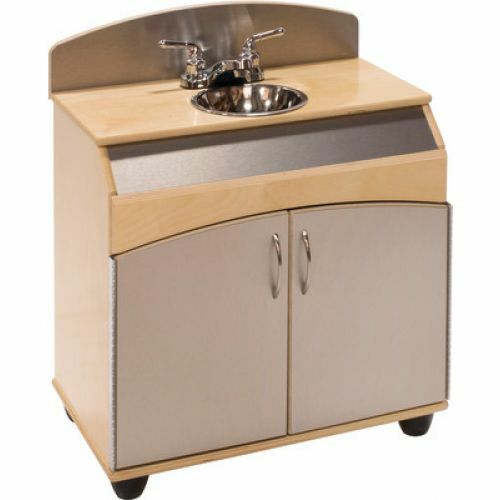 GREENGUARD® Gold certified. Refrigerator, Stove, Sink & Hutch.